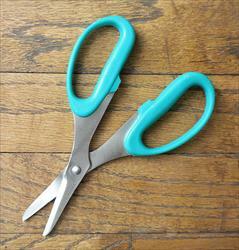 Stainless steel blades make these snip scissors extremely durable. Ideal for floral design, paper cutting, light card board, oak tag, tape, floral pruning, and much more. Measures 6.5 inches long from blade to handle.